Hopewell Farm B&B Our records show that this inn is closed. Early Settler Bed & Breakfast Our records show that this inn is closed. Pickerelrush Bed & Breakast Inn Our records show that this inn is closed. Newburgh bed and breakfast travel guide for romantic, historic and adventure b&b's. 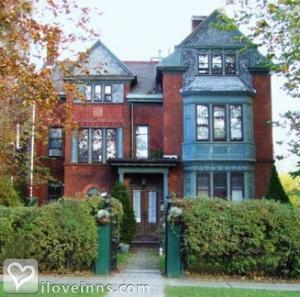 Browse through the iLoveInns.com database of Newburgh, New York bed and breakfasts and country inns to find detailed listings that include room rates, special deals and area activities. You can click on the 'check rates and availability' button to contact the innkeeper. Newburgh, New York is a town with historic sites such as David Crawford House and Karpeles Manuscript Museum. A few minutes away is the Purple Heart Hall of Fame, Washington's Headquarters, and Orange County Choppers. The city of Beacon is near Newburgh with artworks that made Beacon famous. Dia and Storm King Art Center are two famous contemporary art galleries in the area. Half an hour away are Woodbury Commons, Historic Boscobel, and Hudson Valley Shakespeare. Nearby are the Shawangunk Wine Trail, River Winds Gallery, and Art Along the Hudson. Newburgh bed and breakfast innkeepers can assist in making itineraries for their guests. By Goldsmith Denniston House.